As Innocent Mafuyo rose from his seat and grabbed a microphone to pose a question to one of the aspiring members of Parliament (MPs), murmurs from the gathering could be heard as people thought that he would trivialise the important occasion. His funny dressing a jacket and pair of shots — said it all that he was one of the ordinary villagers and commanded no respect among folks. Nevertheless, Mafuyo forced his way to the front to express his mind. 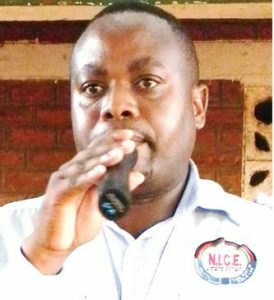 A sizeable crowd had gathered at Chimwaza Primary School, Traditional Authority Mabuka, in Mulanje District for a debate which National Initiative for Civic Education (Nice) Public Trust organised. Aspiring ward councillors and MPs from Mulanje South East were brought together to articulate development issues ahead of the forthcoming elections. “My question goes to you Mr Peter Kaleso,” Mafuyo said, his gaze fixed on the former legislator. “You were a parliamentarian for this area for 10 years and you are promising us that you will renovate Lichenya Bridge, yet this bridge has been in this state for the whole period you were our MP. Should we say you were not aware of its condition?” Mafuyo queried. His question caught the attention of almost everybody at the place as it was least expected. For a moment, Mafuyo was a hero of the afternoon as many people rushed to hug him. It was apparent that Mafuyo had touched on an important subject that impressed many. As Kaleso reacted to the question with a smile, it was obvious that he did not expect that he could be confronted with such a question. Kaleso quickly took a microphone to respond to the question, which had electrified the event. “Thank you for your question. You should know that all development activities cannot take place within a short time. During the time I was a member of Parliament, I was busy with other developments in areas but be assured that what I have promised will be fulfilled,” Kaleso said. Kaleso served as a parliamentarian for Mulanje South East, Cabinet minister and second deputy speaker of Parliament between 1994 and 2004. He is now among five aspiring MPs and 11 councillors from the area who are seeking positions at the elections. As part of engaging the electorate with the aspirants, Nice Trust has been organising debates across the country. The debates have proved to be not just ordinary gatherings where aspirants present their lies to the electorate as that the electorate, this time, seems not ready to entertain any mediocrity from duty-bearers. Last week we travelled to Chiradzulu, Mulanje and Phalombe districts where Nice Trust held the debates. As expected, some of the aspirants took the opportunity to outline their manifesto points to the electorates. In all places water and sanitation, education, health and transparency and accountability issues took centre stage. “What should we do if you don’t deliver on your promises,” Martha Mlozi put a question to six aspiring councillors that tussled at Mulinde Primary School in Chiradzulu West. As the aspirants took turns address the question, the message was clear that the country is now assured of responsible leadership that is ready to serve not to rule. Sub-Traditional Authority Mpunga from Chiradzulu District said the debates have accorded them an opportunity of signing social contracts with the aspirants. “This is the first time for me to attend these debates. It was an opportunity for us to listen to what the aspirants have in store for us. We also had a chance of asking them questions that matter to us and, at the end of the day, we know what to expect from them and also what to do if those expectations are not met because we have signed social contracts,” the chief said. Nice Southern Region Civic Education Officer, Enock Chinkhuntha, said the debates are part of promoting accountable leadership. “If the aspirants and electorate are able to engage each other now, it will mean that, after the elections, there will be continued engagement. This is part of promoting democracy where leaders should be aware that their duty is to serve the people,” Chinkhuntha said. He added that accountable leadership is important in a democracy because voters are able to explain how their duty-bearers are performing in line with the mandate that was given to them.